High-end vehicles deserve high-end service. At the iAUTOHAUS BOSCH Authorized Service Facility, we have the expertise to handle any luxury automotive service or repair need you bring our way. 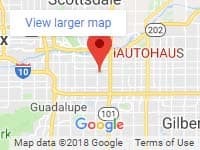 Whether you have an Audi, Porsche, Jaguar, Maserati, or a range of other select and foreign models, the iAUTOHAUS service staff has the proper tools, equipment, and experience to get the job done right. You can always expect quality workmanship from us! Simply schedule an appointment online. What an absolute wonderful experience. You will not be disappointed with this dealership. 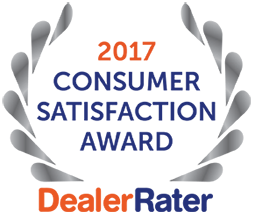 From the first phone call inquiring about the vehicle to when you drive off the lot, the customer service was exceptional! The easiest and fastest car buying process I have ever been through. Jeremy and Wesley were very friendly and made us feel comfortable with our purchase. They take extreme pride in the cars that they sell and the indoor showroom is emaculent. Go check it out! You won't be disappointed. Great buying experience overall! Great service, amazing cars and wonderful people! Highly recommend purchasing a vehicle from them if you are looking for an immaculate Euro car! Great service. I'm their loyal customer for several years now.Bought car there, and now it's time for new one.I'm thinking to use their services again. From the first phone call to pulling out of the lot, it was an excellent experience. Wonderful customer service and hospitality. A top notch company. iAUTOHAUS. As a high-end used car dealership focusing on luxury and European models, we boast the excitement and refinement you want at prices within your budget. It’s no wonder that Phoenix, Scottsdale, Chandler, Gilbert, and Mesa drivers continue to rely on us to find and service the car of their dreams, as well as drivers from around the world. When it comes to selection, iAUTOHAUS goes unmatched. We’re committed to maintaining an inventory of the finest pre-owned European automobiles available. New cars arrive each week, meaning you can always check back to see if there’s something different and exciting in stock. Even if you’re not located in Arizona, our inventory remains accessible to you, too, because we offer shipping across the United States and around the world. And since we don’t sell your average, everyday cars, we have an onsite service center staffed by expert ASE-certified technicians to keep your vehicle running as it should. The terms pre-owned and luxury go hand-in-hand at iAUTOHAUS. Find out for yourself at our dealership, located at 1876 E. Broadway Rd in Tempe, AZ. Feel free to get in touch if you have questions about our dealership, inventory, or shipping!